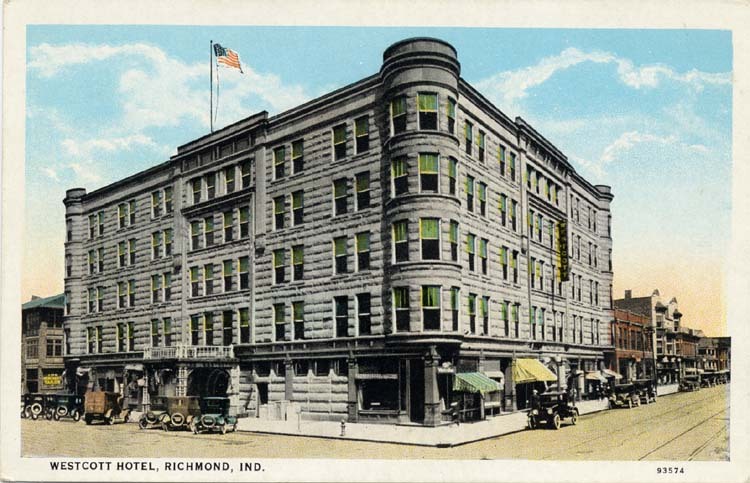 Designed by W. S. Kauffman, the Westcott Hotel was intended to be the "premier hotel of Indiana" in its heyday. The Grand Opening was September 10, 1895, and all the biggest names in the city were guests that night. The Commercial Club, a precursor to the Chamber of Commerce, spearheaded the drive to build it and actually owned it until 1899, when the club fell on hard times. 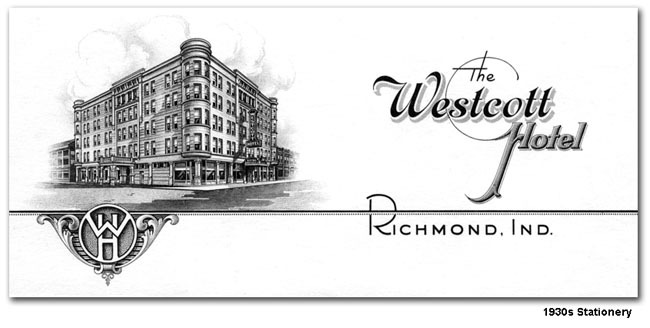 J. M. Westcott, early Richmond business leader and the man for whom the hotel was named, assumed ownership. By the 1970s, the hotel was no longer a premier hotel, and with the interstate highway system, tourists were no longer driving on US 40 through town. The Westcott closed in 1976 and was razed in 1977.